Thanks to its innovative nano-structure, HYBRID penetrates where other products cannot. Standard polymeric preparations, in fact, contain very few active ingredients arranged in filamentous chains, which cover the porosity superficially, arranging themselves in an irregular manner and allowing dampness to infiltrate. The active ingredients of HYBRID, on the contrary, are made up of single monomers, which easily penetrate the pores, completely saturating them and polymerising inside them. HYBRID polymerises only after having entered the pores of the surface and it does not exit thanks to its total obstruction capacity. The even, clear and total protective barrier is obtained in a few hours through simple exposure to natural light (photo-polymerization). Other products, on the contrary, preformed polymers can only enter into the larger pores, where they are worn over time, due to the action of atmospheric agents. 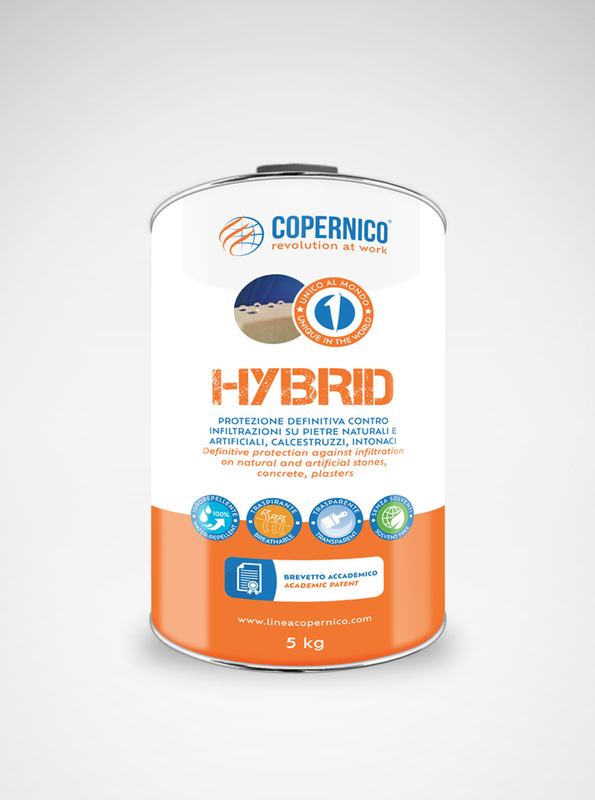 HYBRID is cost-effective, because only one coat is needed and it requires a minimum use of product (just a single thin layer). 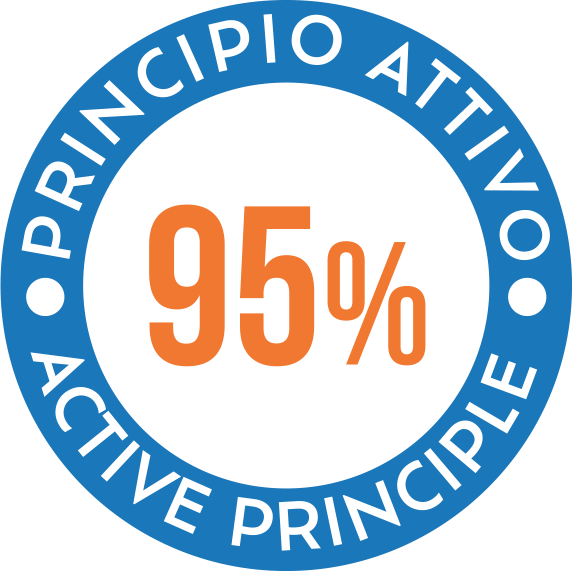 In addition, HYBRID contains 95% of active ingredients per kg of product, compared to 5-9% of preparations for the same class available on the market. To obtain the same amount of active ingredients contained in a pack of HYBRID, it would be necessary to have 10 packs of other products of the same class. 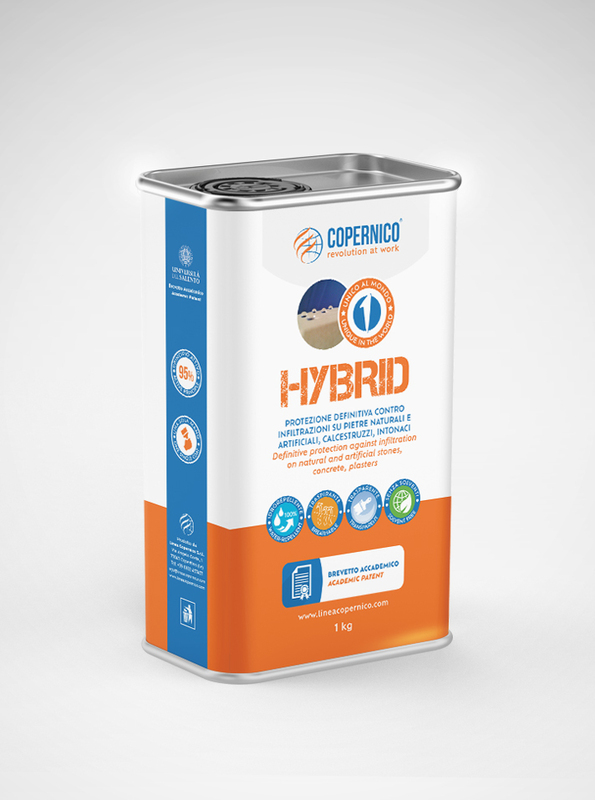 Comparing HYBRID with other products on the basis of the final price per kg is incorrect, since one has the illusion of paying less for a preparation which, instead, is composed of 91-95% chemical solvents, useless for protective purposes and harmful to the health and the environment. 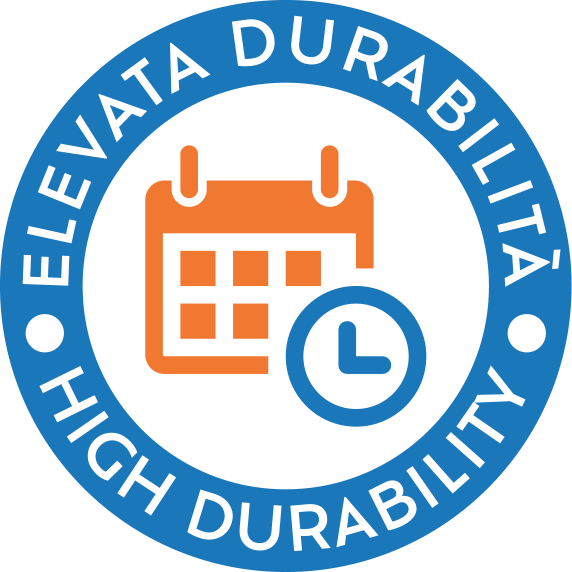 Unlike common polymeric water -repellent products on the market, HYBRID is the only product that has active ingredients not dissolved in solvents and that acts with simple exposure to natural light. 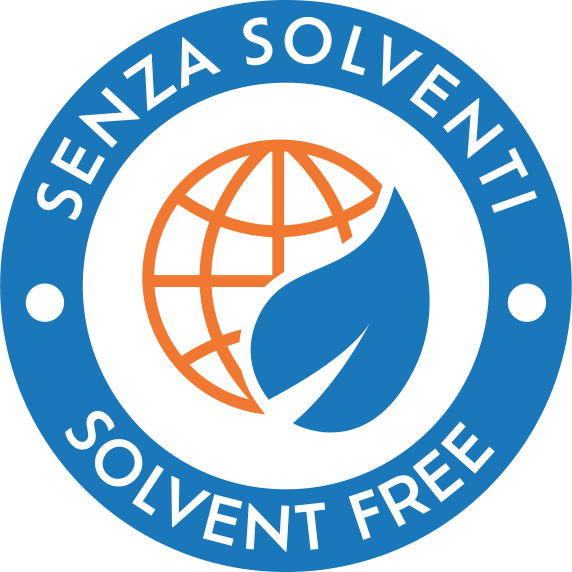 Other products containing them, solvents do not contribute at all to the protective action, but only help to convey the polymers to the surface to be covered. 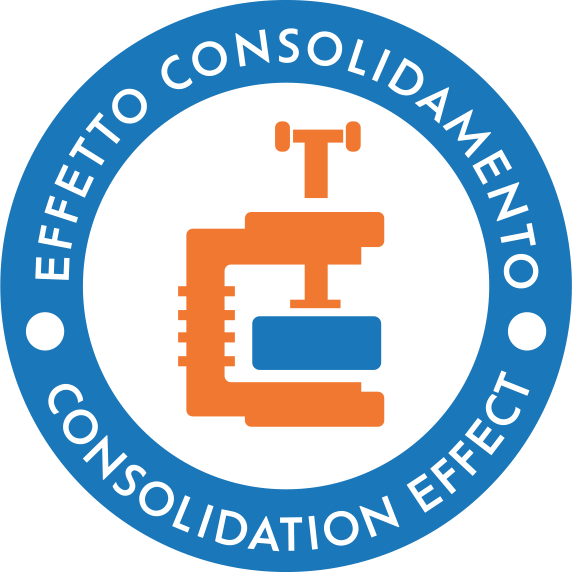 Over time, the solvents evaporate, releasing toxic and harmful substances, from the moment of their use and for a long period afterwards. Other products defined as eco-friendly, however, dissolve the active ingredients in water, resulting in less effective penetration and reduced durability. 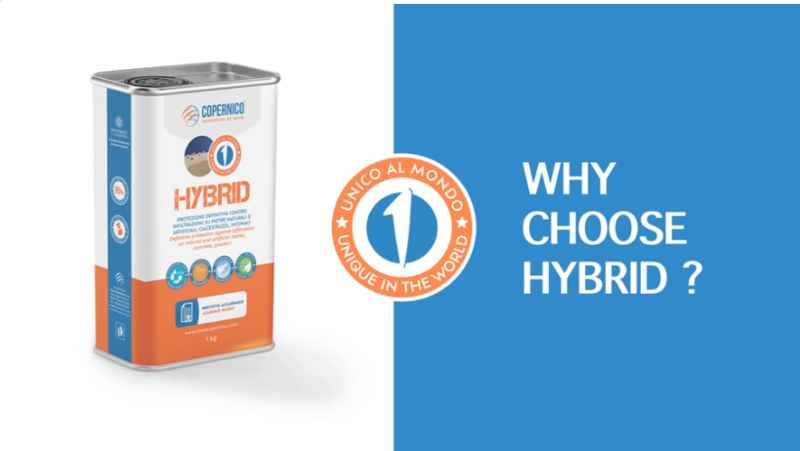 Hybrid strengthens the stone, improving its mechanical properties by 56%. No traditional surface protection product can achieve these results. 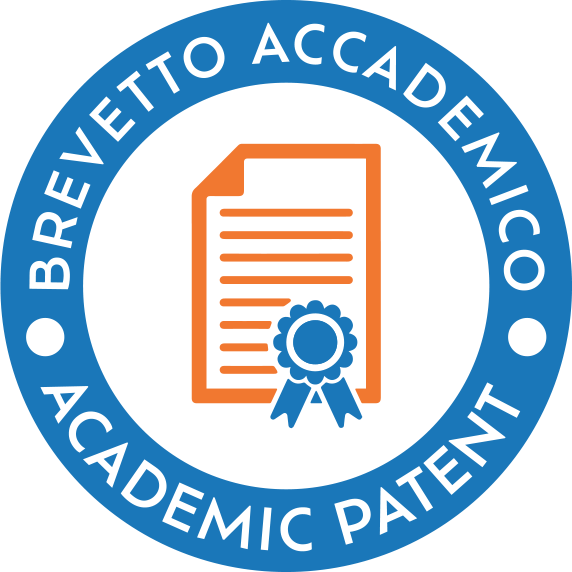 HYBRID enjoys the benefits of an exclusive academic patent. 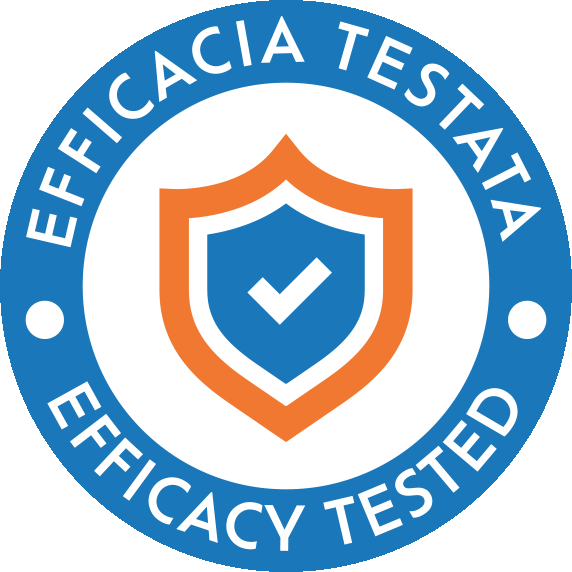 Its full effectiveness was tested in the laboratories of the University of Salento, with numerous tests of hygrometric permeability, perspiration, accelerated ageing, colour fastness on the treated surface and resistance to scratching, crystallisation of salts and frost. Its application is easy and fast, requiring only one coat and not multiple successive ones. It is applied by using a brush, for small surfaces. It is applied by using a low pressure spray, for larger surfaces. It can be applied in any season, as long as there is no risk of rain and the temperature is between +5°C and +35°C. Concrete: 100-200 g/sq.m., cement-based plaster: 200-300 g/sq.m., compact natural stone: 100-200 g/sq.m., porous natural stone (tuff): 300-500 g/sq.m. Water-repellent protection treatment, for masonries and coatings in natural and artificial stone, porous surfaces and concrete, through the supply and installation of a hydrophobic hybrid impregnating organic-inorganic agent, nano-structured, photo-polymerisable, solvents-free, consisting of organic elements based on silanes and siloxanes interconnected through an inorganic nanometric structure, (such as HYBRID - COPERNICO Line), featuring a highly water-repellent, breathable and transparent effect. The application shall be carried out using a roller, brush or low pressure spray, in one or more coats, on previously clean and visibly dry surfaces. The costs of preparing the support, service scaffolding, scaffolding and planks are excluded.